500g broccoli, cut into small florets and stems thinly sliced. Smoked chicken, Roquefort or a fresh herb for the topping. Heat the olive oil on medium heat in your stockpot. Fry the onions, garlic, celery and chili pepper until translucent and add the broccoli. Cover the ingredients and stir occasionally for about 10 minutes or until softened. Pour in your stock and bring to boil. Once boiling reduce the heat and simmer for 20 minutes. 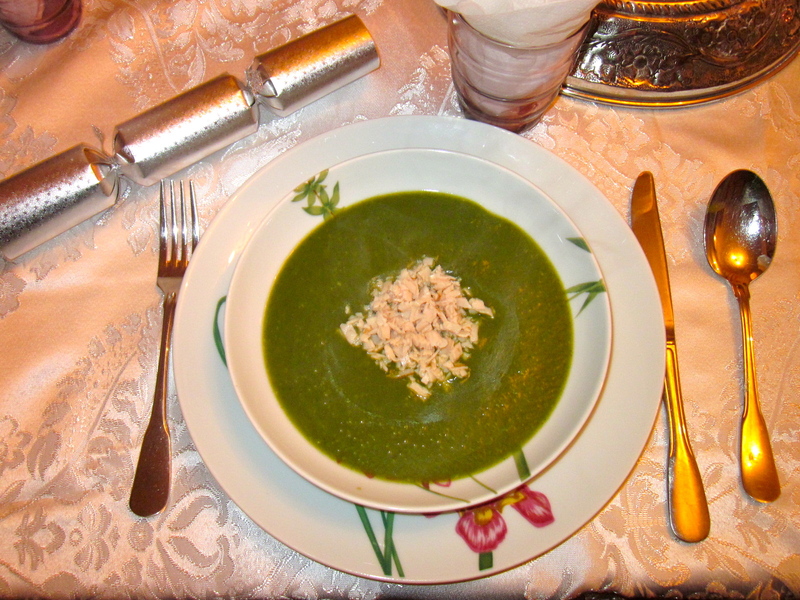 Now stir in the spinach, turn off the heat and let the soup cool down for a few minutes. Then purée the ingredients with a hand blender in the stockpot or puree in batches in your blender. Season with salt, pepper and nutmeg. 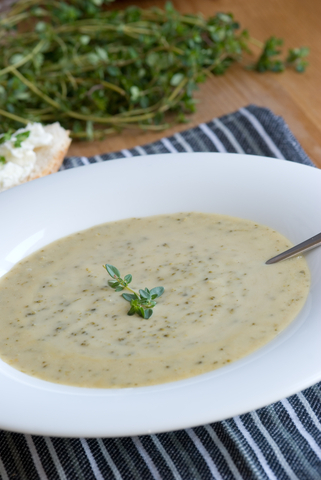 Serve the soup with a topping of your choice such as finely chopped smoked chicken, Roquefort or a fresh herb.